Located in the foothills of grandiose Himalayas, Rishikesh is called as the gateway to the Himalayas. Besides religious shrines and breathtaking tourist attractions, Rishikesh also provides wonderful adventure opportunities. With its forested hills, thick jungles, lush mountain slopes, meandering rivers and diverse flora and fauna, it is a perfect destination for trying different adventure sports like trekking, mountaineering, hiking and river-rafting. With its captivating rivers, Rishikesh calls on adventure-seekers to plunge into exciting adventure of river-rafting. It is a great way to enjoy the oodles of thrill, fun and excitement. During the end of September to mid December and from the mid February to April, several camps are functional. From September to November and March to May is the best season to enjoy river-rafting. 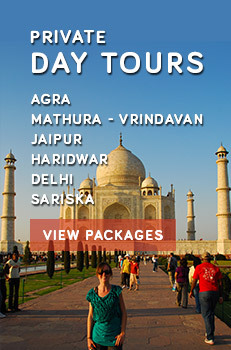 It is the best way to explore sheer natural beauty and diverse flora and fauna. Tourists can have the impressive view of snow-covered mountain peaks of great Himalayas. Trek through lush hills is one of its kind experience that will take your through dense forests of pine, oak and deodar trees. The Ganges in Rishikesh offers challenging rapids to embark on a kayaking trip. Adventure-lovers can choose a rapid considering their skills and physical abilities. The adventure of kayaking in Rishikesh has gained immense popularity amongst tourists from across the world. Cliff Jumping is yet another wonderful opportunity to enjoy the thrill. Adventure-seekers who are in Rishikesh for rafting should not miss this adventure. This is a milder version of base-jumping which offers you the opportunity to jump from 30-40 feet high cliff. 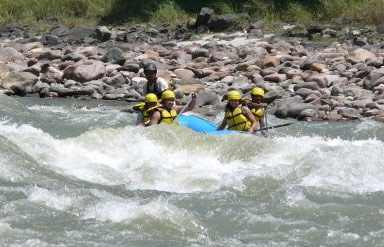 Rishikesh also offers other exciting adventure activities and sports to enjoy. 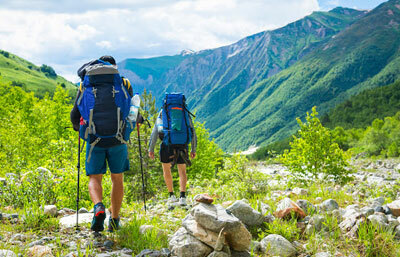 Visit Rishikesh to enjoy thrilling activities like hiking and trekking. 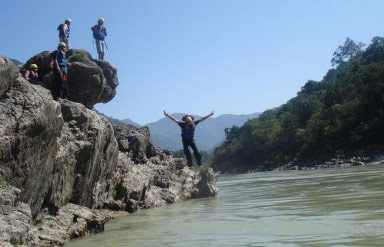 The experience of adventure in Rishikesh is surely going to be an unforgettable one.